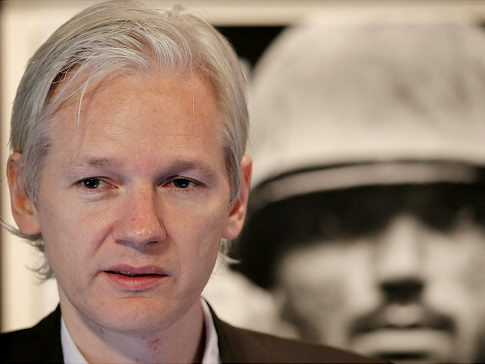 EXCLUSIVE: Julian Assange coming home next year? In a stunning worldwide exclusive, IA reveals that WikiLeaks founder Julian Assange may soon be free to return to Australia. Deputy editor Sandi Keane reports. Walkley Award winner Julian Assange, originally from North Queensland, exposed U.S. war crimes via the shocking: ‘Collateral Murder’ footage. He has been hounded by the U.S. State Department ever since. If Victorians vote Julian Assange into the Senate this Saturday, thanks to proposed changes in the UK’s extradition laws, we may actually see him take his place in the Australian Upper House next year. Presently, Assange is holed in the Ecuadorian Embassy while he seeks refuge from extradition to Sweden on what many believe are trumped up accusations. The reason Assange may be able to come back to Australia stems from the UK’s scrapping of the European Arrest Warrant (EAW) extradition treaty. The modifications, due to come into effect in between January and June 2014, will prevent the use of extradition for purposes other than prosecution. Remember: Julian Assange has not been formally charged with any offence — the EAW is simply for questioning. Under the proposed new rules, according to Assange, Swedish prosecutors would have to interview him on UK soil, not Swedish. If there was no case to answer ‒ as he insists ‒ he would be free to leave the U.K.
Assange attributes his High Court case and Supreme Court appeal against for the government’s adoption of the changes to the European Arrest Warrant (EAW) recommended by the Scott Baker Extradition Review. The fact that Julian Assange may be free to take up his place in the Senate provides a tremendous fillip for the WikiLeaks Party, as the fact he may be unable to participate in Parliament would be a deterrent for potential voters. Things may be looking up for the WikiLeaks Party. The rest of IA’s interview with Julian Assange will be published later today. Keep watching this space.